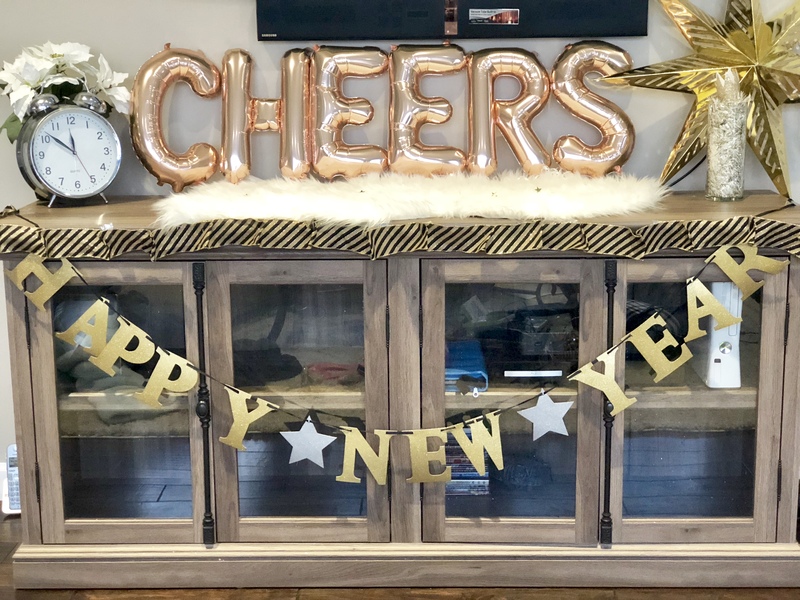 I can’t believe it is time to say farewell to 2017, and welcome a new year!! 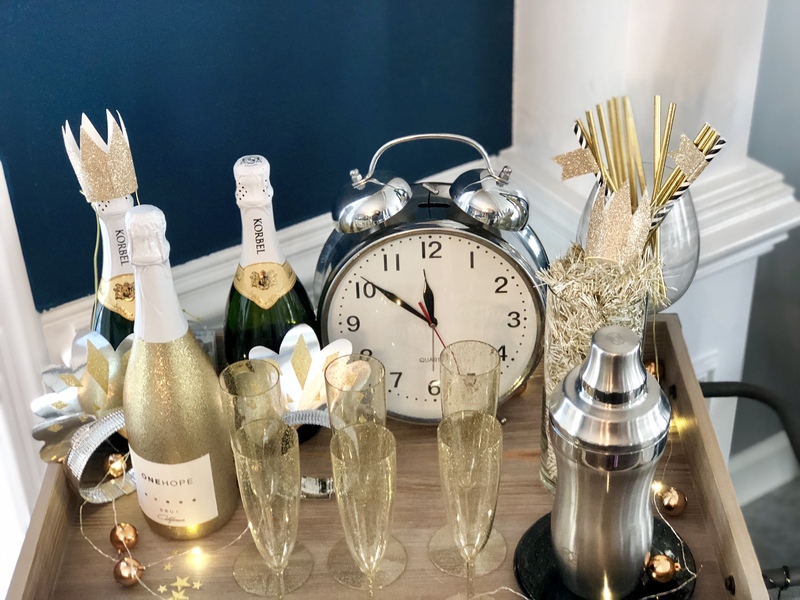 Today I’m excited to team up with Wayfair and join their Sparkle and Shine campaign. 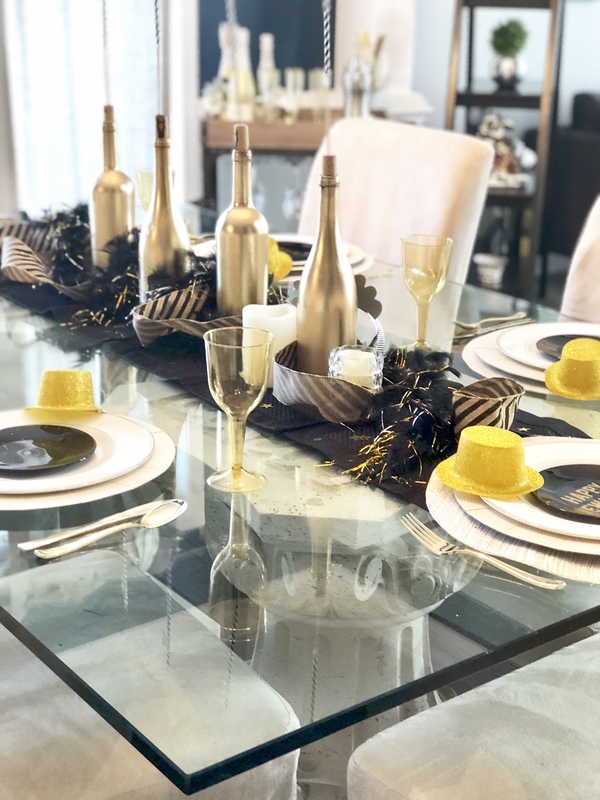 Whether you are throwing a party, a small get together or just spending some quality time at home, I hope this post gives you some festive inspiration to ring in the new year! 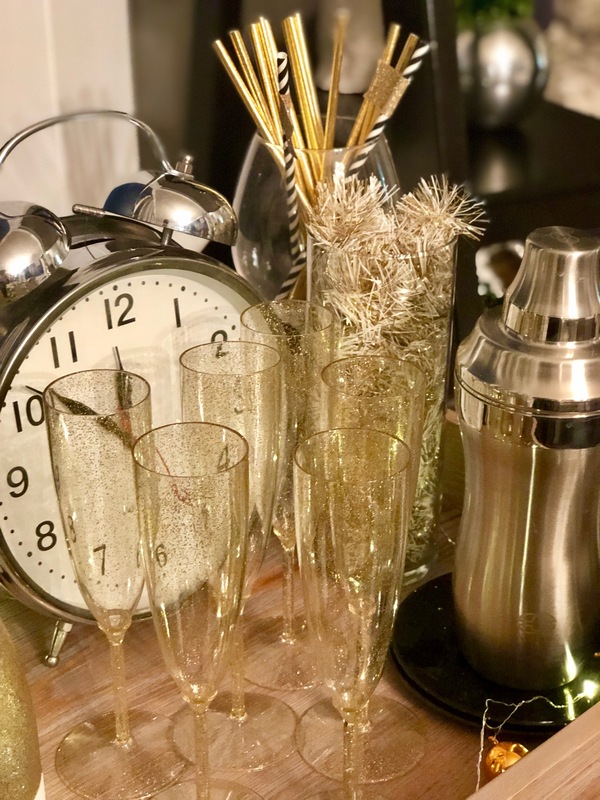 Wayfair has some great items to help your new year sparkle and shine! 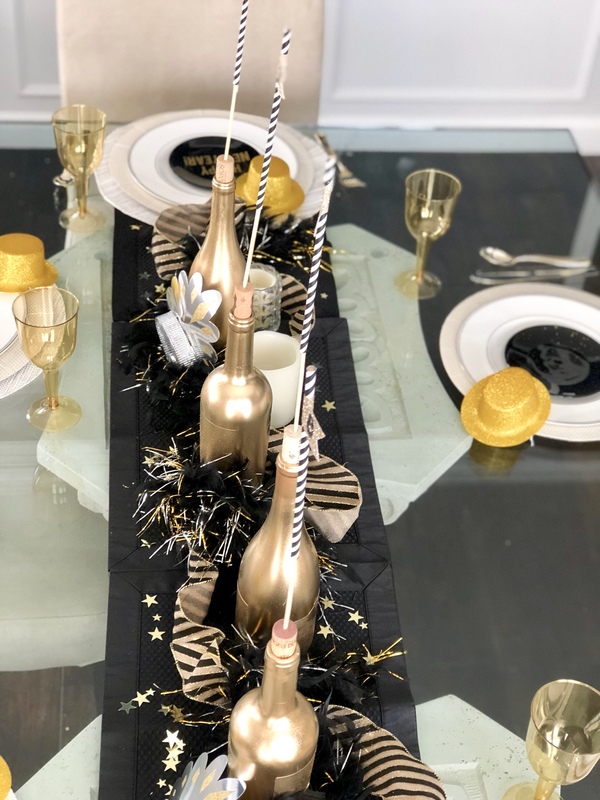 I started off by adding some glam to this and using some silver and gold with pops of black to make the bar shine a little. 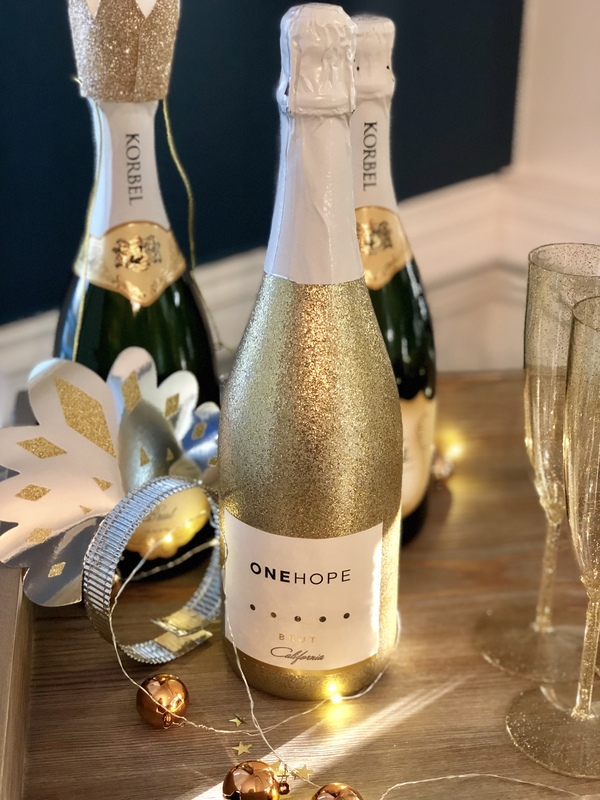 I also just ordered this wine bottle from One Hope Wine which was the perfect sparkly addition to cart. They are a great wine company that also gives back to the community! I also added some gold star confetti to the runner for some extra color. 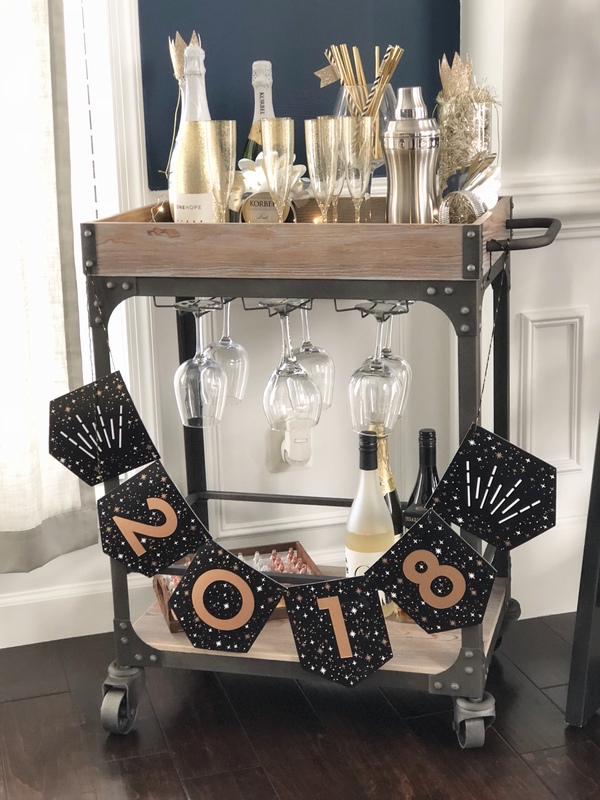 I had been searching for a new T.V stand and recently found this from Wayfair. 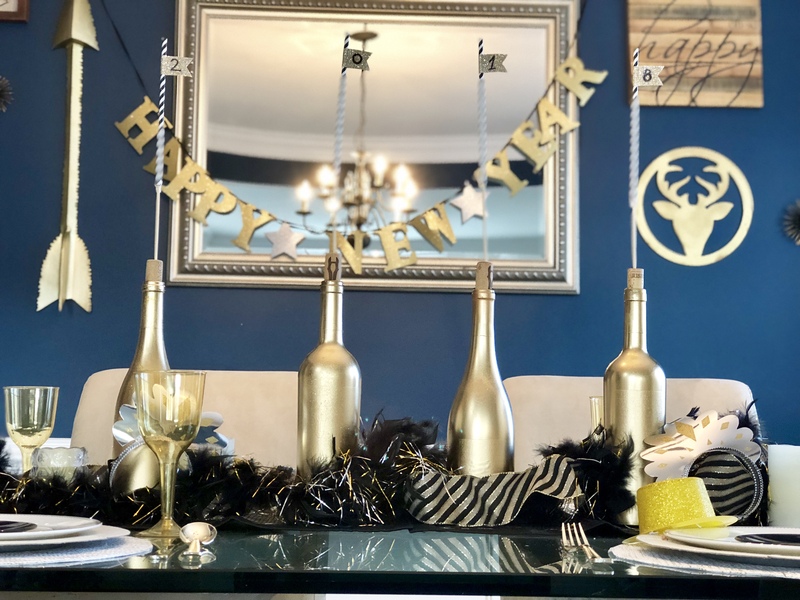 I love how it looks in our living room and I decided to glam it up and add some sparkle for the new year! 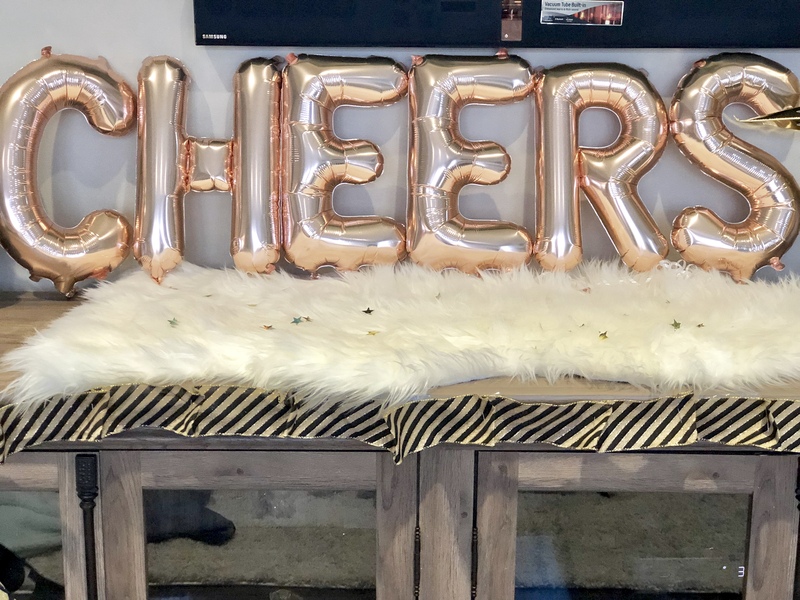 I found the Cheers balloon from the target dollar section and shopped around my home for some of the other decorations. I also finished the look by adding another one of those banners. 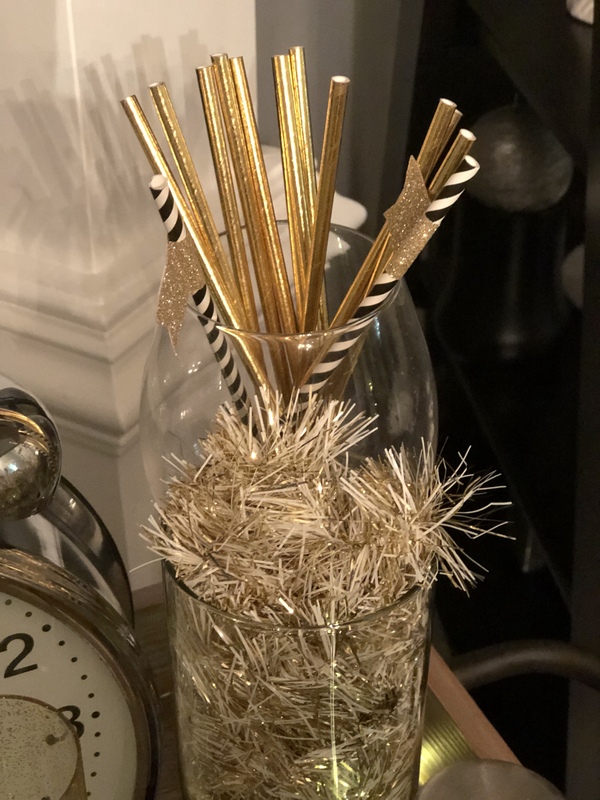 I hope you get inspired to add a little sparkle and Shine to your New Year!!! 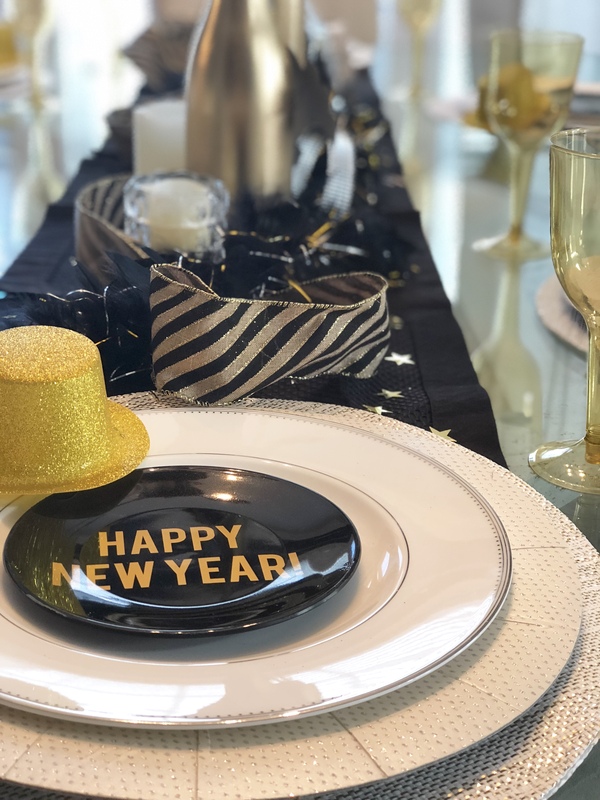 What are your plans this New Years Eve? whatever they are, I hope you have a safe & Blessed New Year!